Two words that should usually be avoided by applicants in preparing their grant applications are “IF” and “WHETHER”. These words represent distinct manifestations of the same concept, since “if” implies “It might or it might not”, and “whether” always provides for the option “Whether or not”. The primary problem with their use is that they both provide opportunities for a negative outcome to occur. While it is certainly possible that either a positive or an alternative outcome might be beneficial, in many cases the negative outcome leads to a “dead end” in a line of work or progression of activities. By way of example, “if” is relatively commonly used to describe possible outcomes of a series of activities or studies. 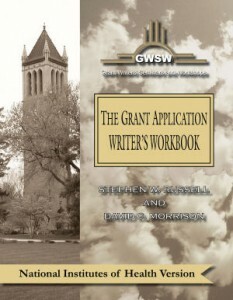 As we strongly emphasize in all of our GWSW workbooks, it is critical that applicants be able to summarize the expectations for what will have been accomplished (the “deliverables”) at the completion of any series of activities or experiments that are described in the proposal, as well as what the potential importance of those outcomes would be. In efforts to exercise caution in describing projected outcomes, applicants may be tempted to write something along the lines of: “If successful, these studies would provide new opportunities to………”. The problem with such a phrase is that it immediately conjures up the thought among the reviewers of: “Well, what if not?” which, of course, has the potential to instill doubt in the mind of reviewer as to whether the applicant him/herself has confidence in the outcomes of the projected studies. In addition, if not successful, the conclusion would seem to be that such opportunities would not exist. A potentially straightforward way to avoid this problem would be to rephrase this in the positive using the subjunctive verb tense; for example: “Our ability to provide strong evidence of the importance of our expected findings would provide new opportunities to …….” With this strategy, the applicant would not be guaranteeing that proposed activities would be successful but simply that such success would be likely to have a significant positive impact from the perspective of the all-important mission of the funding agency. Another way in which “if” or “whether” is used relatively commonly in the preparation of grant applications is in the formulation of a specific objective; for example: “Determine whether/if excess consumption of supplemental vitamins is a cause of obesity.” This objective could be rewritten as “Let’s look and see whether or not excess consumption of supplemental vitamins is a cause of obesity.” Assuming that the objective in this grant proposal is to identify an underlying dietary cause of obesity, then in formulating an objective to determine “whether or not”, it would be important to ask the question: “What if the ‘or not’ outcome were to obtain?” In such a case of a negative outcome, an applicant would presumably have achieved the stated objective (whether or not excess vitamin consumption is a cause of obesity), but would not have addressed the issue of the underlying dietary cause of obesity (which was the purported objective in the study). On the other hand, if a contract had been made with a supplemental vitamin manufacturer to critically address claims in the press that vitamins were a cause of obesity, then it might make sense to have an objective to determine whether or not this claim is true (i.e., that excess consumption of supplemental vitamins is an underlying cause of obesity). The bottom line is that it is almost always possible to phrase the issue in a grant application in such a way that the problem of “if” or “whether” can be avoided, and we would strongly encourage applicants to consider such an alternative when faced with the temptation to use such words. The above represents but one of the literally hundreds of tips and strategies included throughout our series of The Grant Application Writer’s Workbook that do not specifically address grant-proposal related issues. To view specific examples of various workbook pages, visit our Workbooks page and click the link for the specific Workbook of interest to you.